There's a 7 night all-inclusive package (includes flight, hotel, all meals, all drinks) from Vancouver to the Iberostar Punta Cana in Punta Cana, Dominican Republic departing on December 7 for $955/person after all taxes and fees. The Ultimate All-Inclusive Deal Finder has calculated this deal as having a Deal Score of 80 out of 100, based on price vs quality. - The reviews of the Iberostar Punta Cana on TripAdvisor are excellent . This fact, combined with the low price, is what leads to the high Deal Score. I like deals where you're getting the most for the least. - Amazing deals to the Dominican (especially Punta Cana) are more rare than amazing deals to Mexico or Cuba. - At the moment, the Canadian tour operators look to be focusing their deepest price cuts towards all-inclusive packages on the following departure dates: Nov 30 to Dec 10, and Jan 13 to Jan 24 . [search this date range] The majority of the highest Deal Scores can be found in this date range. 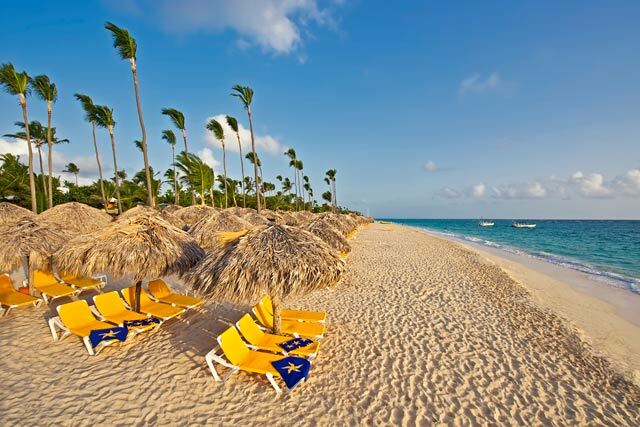 vancouver, yvr, all inclusive deals, punta cana, dominican republic and puj. 3 Responses to "All-Inclusive deal: Iberostar Punta Cana (Dominican) - $955/person after taxes & fees"
I want to book this great deal but I can't find where to do it. The search e-mail is not valid so how do I book the package deal? Sorry about that, I've updated the search link with one that is working now.